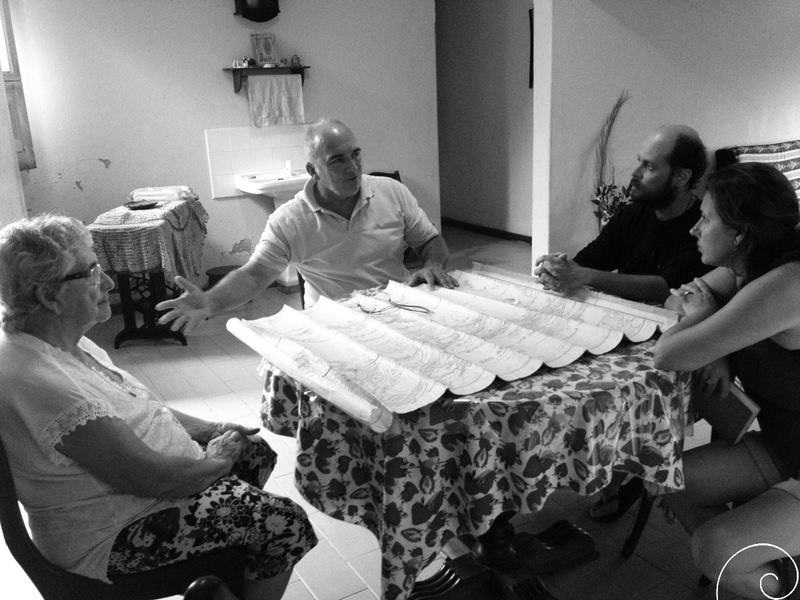 In Óbidos, at the cozy home of Idaliana (seated left), we heard Mario tell us about his experience in the vastness of the Amazonian land and waters. A keen observer of that Nature, he tells us about the transformation of the landscape, based on his experience as an inhabitant of the Lower Amazon. Among the facts that for him are the results of human actions over time, Mario calls our attention to the phenomenon that he calls “fallen earth”: the river, every new flood, strips the banks of soil, carrying the land that “falls” somewhere else. Thus, year after year, the geographic references change: new openings are made by the waters, ancient streams are silted today, lakes are expanded, while others shrink. 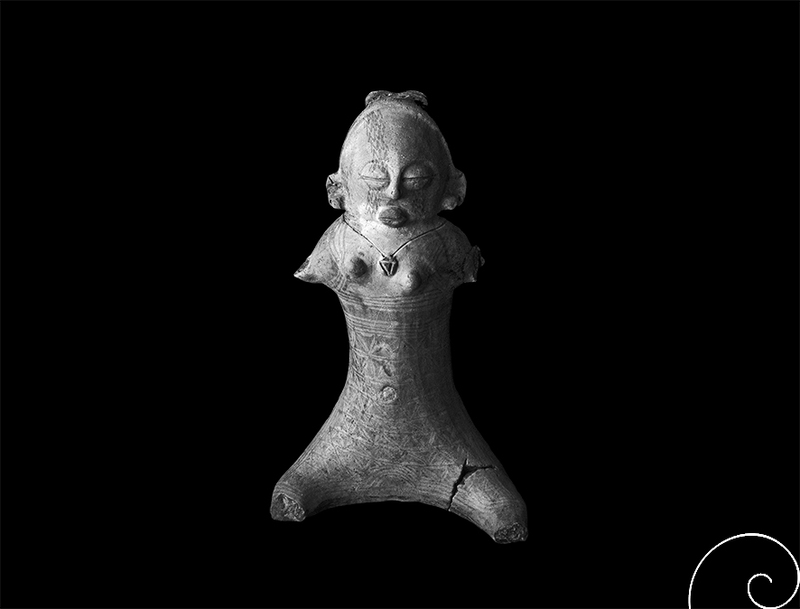 In his site on Lake João Braz, after a “fallen earth” event, they found a beautiful anthropomorphic ceramic figurine on the river bank. 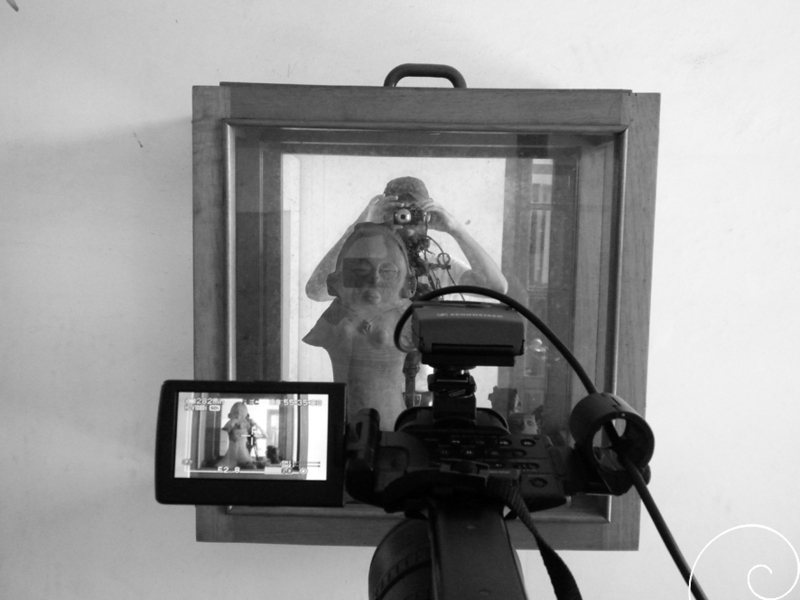 It is exhibited at the Associação Cultural Obidense (ACOB). Mario believes this unique artifact may have come from far away, carried by the Amazon River until settling on his lands. Much later, the flow of water revealed the object. In it we see a necklace with a pendant representing a muiraquitã. A witness of a disappeared society, the figurine that was discovered there houses a memory that goes beyond its cultural context and reaches the contemporary transformation of the landscape of the region. Text: Silvio Luiz Cordeiro. Images: Cristina Demartini, SIlvio Luiz Cordeiro, Wagner Souza e Silva.